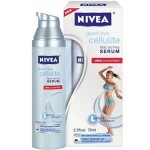 No7 cellulite cream reviews: Would You Recommend this Product? 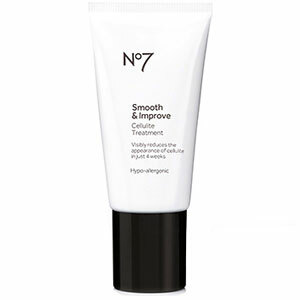 No7 Smooth & Improve Cellulite Treatment is touted as a revitalizing skincare treatment that is meant to smooth the skin and help reduce the look of dimply, stubborn skin. In as little as four weeks, the look of cellulite should be reduced and skin will feel hydrated all day long. Summer is here, and for many women, that means more skin is exposed than usual. It can be difficult to walk confidently in your favorite pair of shorts knowing your thighs aren’t as smooth as they used to be. Cellulite is a common problem. Whether it’s due to weight gain or genetics, many people experience it. There’s no substitute for diet and exercise but there are products that work as a great supplement to reduce the look of dimply thighs. No7 Smooth & Improve Cellulite Treatment uses a unique applicator topped with 5 metal roller balls to massage the treatment into the skin and encourage fluid drainage out of the effected area. With continued use, the skin will appear firmer, more hydrated, and smoother. For best results, turn the applicator to the ‘on’ position. Firmly squeeze a small amount of No7 Smooth & Improve Cellulite Treatment onto the massage head. Turn your pack to the ‘off’ position and proceed to massage the product into your trouble areas. Gently work the product into the skin in small, circular motions from the bottom of the trouble spot to the top until the cream has been fully absorbed. No7 recommends using this product for two minutes up to two times per day for best results. No7 Smooth & Improve Cellulite Treatment no longer appears to be available on any reputable websites at this time. It is either sold out or discontinued. Caffeine: This ingredient stimulates the skin. 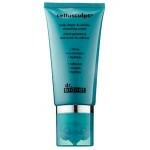 This skin care treatment reduces the look of cellulite as it deeply hydrates. The applicator is unique and encourages fluid drainage to improve the skin’s texture. There are no proven formulas on the market today that can actually reverse the look of cellulite. There are many customer reviews that claim this product does little more than hydrate the skin. No7 Smooth & Improve Cellulite Treatment claims that its unique massaging applicator will give you the smoothing treatment you’ve been looking for. Unfortunately, there’s very little detail included I the product description about how this product actually works! Caffeine alone cannot reduce the look of cellulite, however, the high amount of alcohol may give the skin a firm look temporarily. No7 Smooth & Improve Cellulite Treatment does not appear to be available for purchase on any reputable websites. If you do manage to find this product online, be sure to contact the distributor to determine if a return policy is available.